Designed with touch screen remote controller. Massage methods: shiatsu, kneading, flapping, knocking and synchronous kneading & flapping. 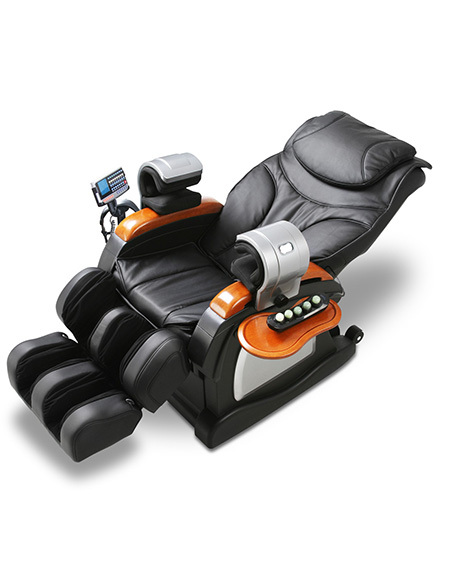 Designed with four special automatic massage functions: Ease, Comfort, Ache cure and Recovery from fatigue. Synchronous music massage: The massage on the back and the vibrating massage on the seat cushion react along with the frequency of the music. Calf rest and backrest can be reclined & declined separately or together.